You have asked us - we are delivering. 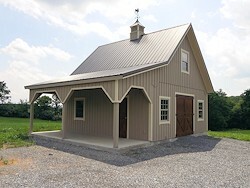 Once in a while, we recieve requests from some of you to sell our professional barn plans. Unfortunately, until now, we didn't really have any plans that were professionally done that we could sell. Now, we have started to work on some of our plans with a hope to add more in the future. What we will be offering is Architectural CAD PDF Drawings done on 36"x24" paper. Each plan will include at least (2) sheets of drawings and some plans might include a material list as a courtesy. 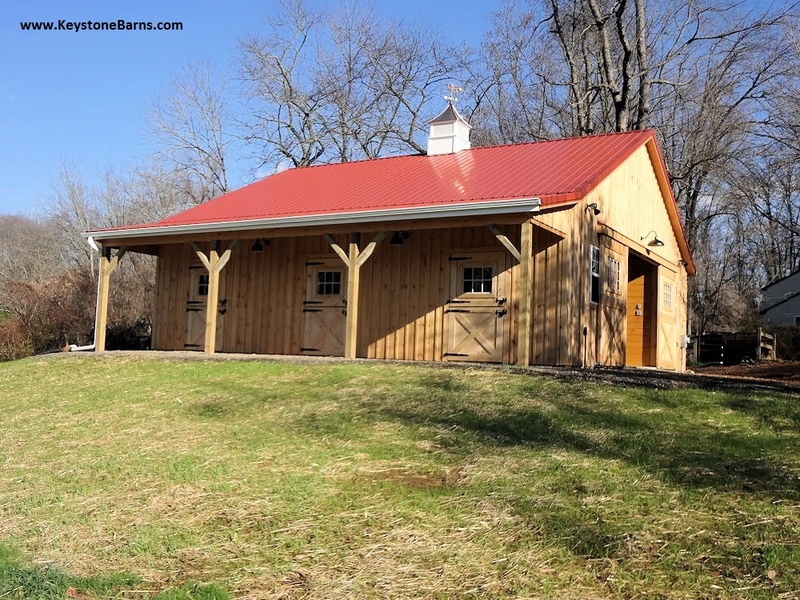 These are not detailed construction plans and you will still have to hire a professional contractor that can figure out all of the materials and be able to build the barn using plans provided. Some building lumber yards may also help you to figure out materials based on prints you provide them. Please keep in mind that our Plans are only meant to be as a first step in order to aquire more information about our barns, to see dimensions, etc. These plans are not done by a licensed engineer or architect and are not designed to meet all local codes in every state or jurisdiction. Your local engineer might still need to modify the plan to meet your local code requirements. Please be patient with us while we are working on more plans. We'll be adding other plans in the near future. If you have any suggestions on how to improve our plans, please let us know. Unfortunately, we are not able to provide a materials list with our barn plans due to the fact that it is impossible to have 100% accuracy and due to variations/availability of certain materials across the country. 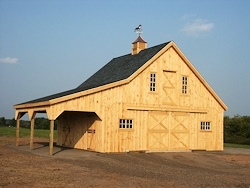 Barn Plans that we offer for sale on this page can be downloaded and previewed before making a purchase. We figured, why pay for something you can't see or preview first? We did hide all dimensions and other data to make PREVIEW plans unusable. Clean copy will be emailed after payment is received. All of our plans on this page are Architectural Plans and are NOT meant to be used as construction plans. 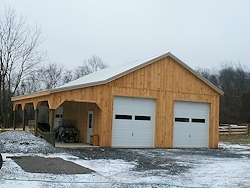 These plans DO NOT show exact dimensions of different building components and should not be used as construction plans. Your contractor/builder shall be responsible for verifying purchased plan for accuracy and compliance with local building codes. We DO NOT provide materials list with our plans. 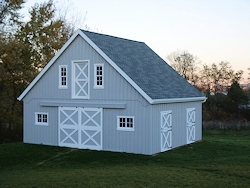 Due to many factors, such as materials availability, different construction techniques used by builders, different local codes, etc. it is impossible to provide a materials list which will be 100% accurate. 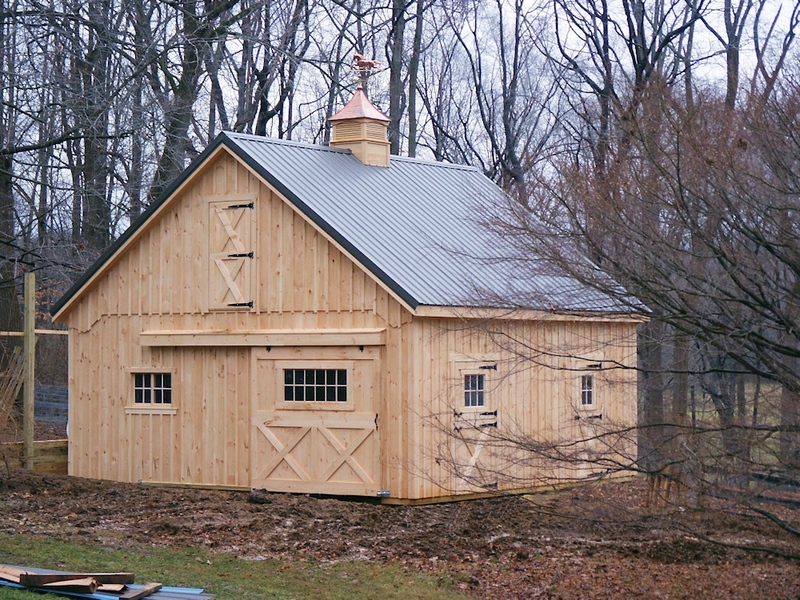 Most of lumber yards will be glad to make a materials list for you based on plans provided. All of our "PREVIEW" plans have dimensions and some other data hidden. When you make a purhcase, we will email you clean PDF prints with dimensions and other information displayed. All plans are done on 36"x24" paper which you will have to print out at Staples, UPS store or some other place. 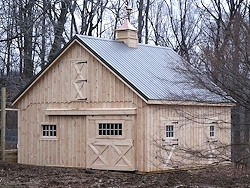 Barn plans that we sell were not designed by an engineer and are not sealed (do not have raised engineered stamp). Plans are not designed to meet local codes in every state or location. 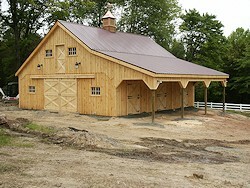 Our plans are only meant to be a starting point or as a first step towards building one of our barns. 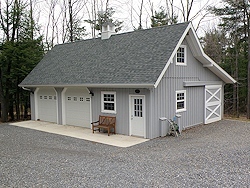 Only your local engineer will be able to tell you if the plan meets your local building codes or not. 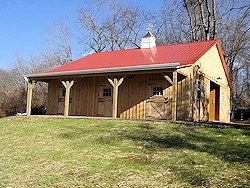 As an option, we can email your engineer or architect our plan in a .DWG format for an additional $50. This way, your engineer or architect can change or modify the plan however they like, to comply with your local code requirements. Please note that we will ONLY email .DWG plans DIRECT to your engineer or an architect, not you. You will have to provide their email address, name and information or have them make a request on your behalf. 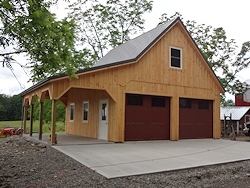 By purchasing any of our plans listed on this page, you agree not to hold us financially liable for inaccuracy of material list or plan design. If you do not agree to this, please DO NOT make a purchase. Our plans are NOT designed for High Wind Zone areas over 100 MPH. Your engineer will need to modify plans to comply with your High Wind Zone area codes. 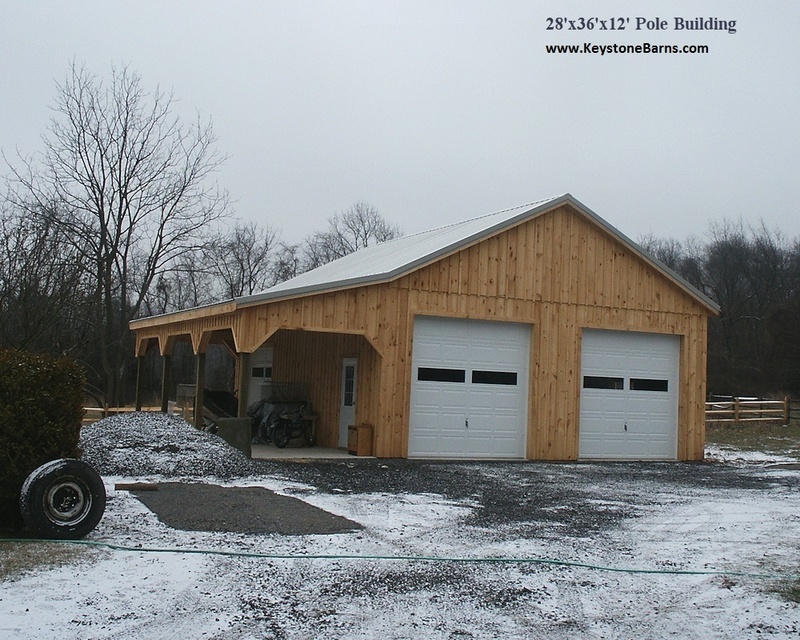 By downloading, purchasing or using any of our plans listed here you agree not to hold Keystone Barn Supply, LLC, it's owners and/or plan designers responsible for any mistakes or incorrect design. 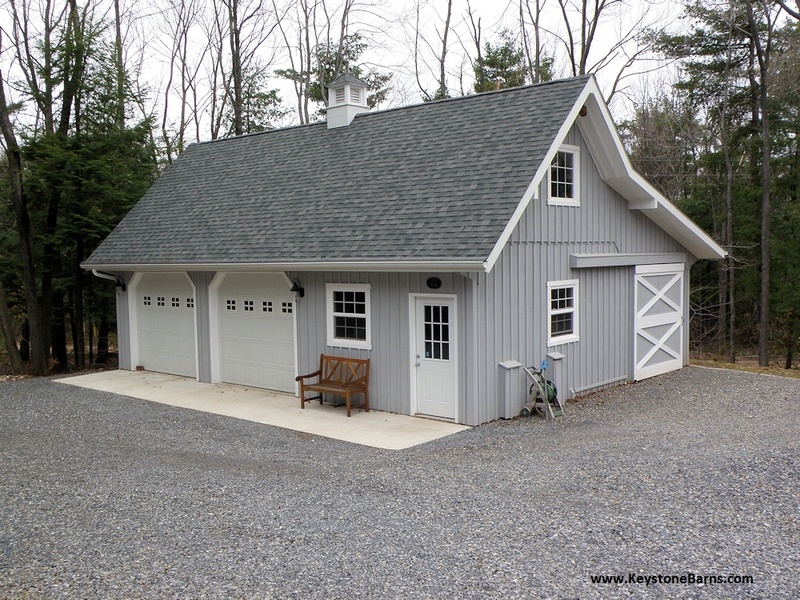 You also agree that Keystone Barn Supply LLC, its owners or plan designers will not be, under any circumstances liable to the consumer or end user for any incidental, consequential, special, exemplary, or punitive damages arising out of the use of these plans. 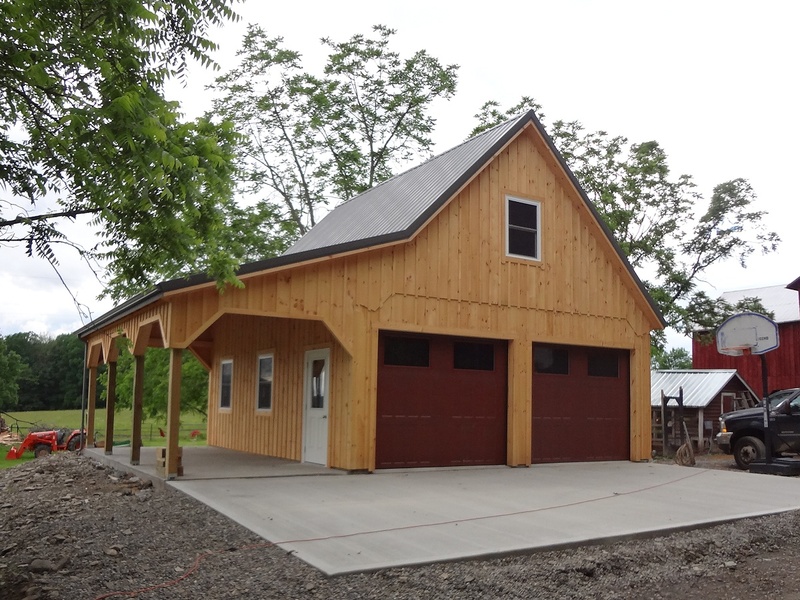 You MUST ALWAYS consult with your local engineer and your contractor before using any of our plans or doing any construction work. 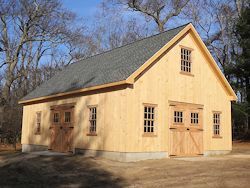 You also agree not to hold Keystone Barn Supply, LLC, it's owners or plan desingers financially liable for material list inaccuracy (where list is included). 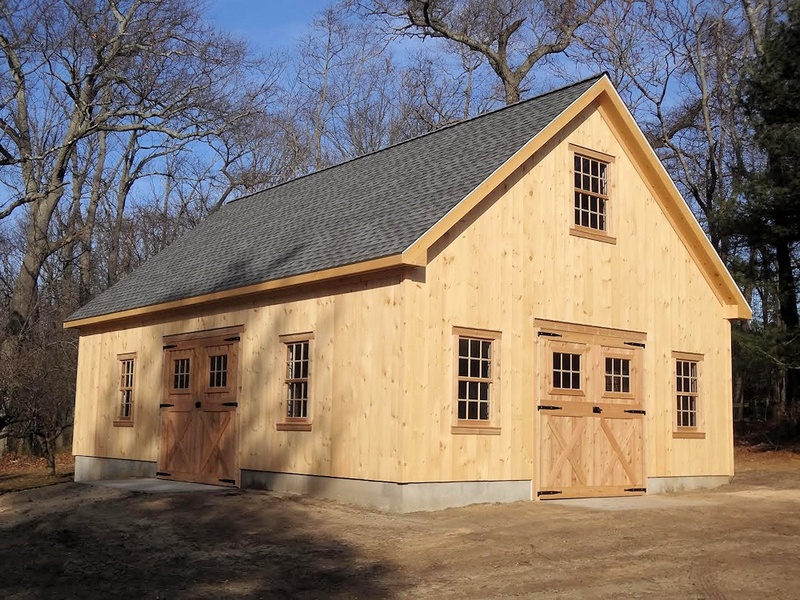 You MUST ALWAYS confirm all and any materials provided on the plans with your contractor or/and lumber yard before ordering any of the materials.